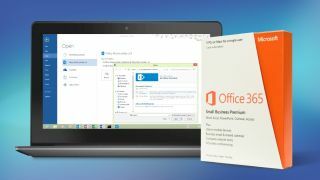 Work on Microsoft's cloud-based productivity suite is, of course, a continual process, and the company has made another change to Office 365 in order to bolster collaboration. The feature in question is guest access for Office 365 Groups, which allows you to include folks who aren't actually staff members within your organisation in a group. Such external users can be invited by the group owner, as of today via the web version of Outlook – that's the only avenue by which you can pull off this trick to begin with, but further functionality will be added in a phased rollout. You can invite a guest into your group no matter what email account they use, whether that's a business or consumer domain, and it doesn't have to be Outlook.com. However, if the guest's email is linked to a Microsoft account, they can simply sign in with those details – if not, they'll have to create an account via a sign-up page. Once a guest has been successfully added to the group, they will get a welcome email, and will start receiving messages from the group (and calendar invites) in their inbox. They will also be given access to group files in SharePoint online. Microsoft notes that there are clear 'visual indicators' to remind those in an Office 365 group that a guest is a current member. Another recent change to Office 365 saw Microsoft bolstering security with the addition of a Service Assurance Dashboard to impart details of privacy, security and compliance controls, including third-party auditing of those measures.